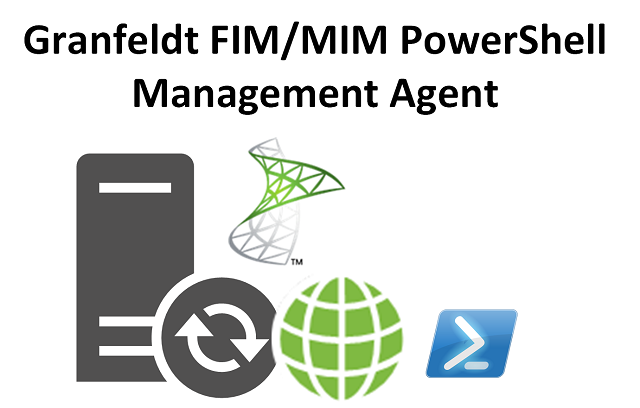 Getting started writing your first Forefront/Microsoft Identity Manager Granfeldt PowerShell Management Agent can be a bit daunting. Before you can do pretty much anything you need to define the schema for the PSMA. Likewise if you have written many, the generation of the schema file often seems to take longer than it should and can be a little tedious when all you want to do is write the logic for the Import and Export scripts. After a few chats with Soren around enhancements for the PSMA I suggested it would be awesome if the generation of the schema.ps1 file could be (semi)automated. So here is my first stab at doing just that. The example below utilises the AzureAD PowerShell Module to connect to Azure AD. It then gets a User Object (update line 7 for a user to retrieve) and enumerates the properties of the User to generate the Schema file. $obj | Add-Member -Type NoteProperty -Name "Anchor-YourAnchorATTR|String" -Value ""
$obj | Add-Member -Type NoteProperty -Name "objectClass|String" -Value "YourObjectClass"
$obj | Add-Member -Type NoteProperty -Name "AgeGroup|string" -Value "string"
$obj | Add-Member -Type NoteProperty -Name "City|string" -Value "string"
$obj | Add-Member -Type NoteProperty -Name "CompanyName|string" -Value "string"
$obj | Add-Member -Type NoteProperty -Name "ConsentProvidedForMinor|string" -Value "string"
$obj | Add-Member -Type NoteProperty -Name "Country|string" -Value "string"
$obj | Add-Member -Type NoteProperty -Name "CreationType|string" -Value "string"
$obj | Add-Member -Type NoteProperty -Name "DeletionTimestamp|string" -Value "string"
$obj | Add-Member -Type NoteProperty -Name "Department|string" -Value "string"
$obj | Add-Member -Type NoteProperty -Name "DisplayName|string" -Value "string"
$obj | Add-Member -Type NoteProperty -Name "FacsimileTelephoneNumber|string" -Value "string"
$obj | Add-Member -Type NoteProperty -Name "GivenName|string" -Value "string"
$obj | Add-Member -Type NoteProperty -Name "ImmutableId|string" -Value "string"
$obj | Add-Member -Type NoteProperty -Name "JobTitle|string" -Value "string"
$obj | Add-Member -Type NoteProperty -Name "LastDirSyncTime|string" -Value "string"
$obj | Add-Member -Type NoteProperty -Name "LegalAgeGroupClassification|string" -Value "string"
$obj | Add-Member -Type NoteProperty -Name "Mail|string" -Value "string"
$obj | Add-Member -Type NoteProperty -Name "MailNickName|string" -Value "string"
$obj | Add-Member -Type NoteProperty -Name "Mobile|string" -Value "string"
$obj | Add-Member -Type NoteProperty -Name "ObjectId|string" -Value "string"
$obj | Add-Member -Type NoteProperty -Name "ObjectType|string" -Value "string"
$obj | Add-Member -Type NoteProperty -Name "OnPremisesSecurityIdentifier|string" -Value "string"
$obj | Add-Member -Type NoteProperty -Name "PasswordPolicies|string" -Value "string"
$obj | Add-Member -Type NoteProperty -Name "PhysicalDeliveryOfficeName|string" -Value "string"
$obj | Add-Member -Type NoteProperty -Name "PostalCode|string" -Value "string"
$obj | Add-Member -Type NoteProperty -Name "PreferredLanguage|string" -Value "string"
$obj | Add-Member -Type NoteProperty -Name "RefreshTokensValidFromDateTime|string" -Value "string"
$obj | Add-Member -Type NoteProperty -Name "SipProxyAddress|string" -Value "string"
$obj | Add-Member -Type NoteProperty -Name "State|string" -Value "string"
$obj | Add-Member -Type NoteProperty -Name "StreetAddress|string" -Value "string"
$obj | Add-Member -Type NoteProperty -Name "Surname|string" -Value "string"
$obj | Add-Member -Type NoteProperty -Name "TelephoneNumber|string" -Value "string"
$obj | Add-Member -Type NoteProperty -Name "UsageLocation|string" -Value "string"
$obj | Add-Member -Type NoteProperty -Name "UserPrincipalName|string" -Value "string"
$obj | Add-Member -Type NoteProperty -Name "UserType|string" -Value "string"
Update the Anchor for the attribute you’d like to use. I recommend ObjectId and give the ObjectClass a name for how you’d like it represented on your MA (User, AADUser or similar) and save it as something like schema.ps1 in you MA folder and you can get started. Update the Anchor for the attribute you’d like to use. I recommend ObjectId and give the ObjectClass a name for how you’d like it represented on your MA (Group, AADGroup or similar) and save it as something like schema.ps1 in you MA folder and you can get started. The example below utilises the Workday PowerShell Module to connect to Workday. It then gets a User Object (update line 7 for a user to retrieve) and enumerates the properties of the User to generate the Schema file. Line 6 for your ServiceName and Tenant. $obj | Add-Member -Type NoteProperty -Name "BusinessTitle|string" -Value "string"
$obj | Add-Member -Type NoteProperty -Name "FirstName|string" -Value "string"
$obj | Add-Member -Type NoteProperty -Name "JobProfileName|string" -Value "string"
$obj | Add-Member -Type NoteProperty -Name "LastName|string" -Value "string"
$obj | Add-Member -Type NoteProperty -Name "Location|string" -Value "string"
$obj | Add-Member -Type NoteProperty -Name "PreferredName|string" -Value "string"
$obj | Add-Member -Type NoteProperty -Name "UserId|string" -Value "string"
$obj | Add-Member -Type NoteProperty -Name "WorkerDescriptor|string" -Value "string"
$obj | Add-Member -Type NoteProperty -Name "WorkerId|string" -Value "string"
$obj | Add-Member -Type NoteProperty -Name "WorkerType|string" -Value "string"
$obj | Add-Member -Type NoteProperty -Name "WorkerTypeReference|string" -Value "string"
$obj | Add-Member -Type NoteProperty -Name "WorkSpace|string" -Value "string"
The example below utilises a sample CSV file with headers. It uses the Header row to generate the Schema file. It defaults all columns to strings. $obj | Add-Member -Type NoteProperty -Name "id|string" -Value "string"
$obj | Add-Member -Type NoteProperty -Name "comments|string" -Value "string"
$obj | Add-Member -Type NoteProperty -Name "created|string" -Value "string"
$obj | Add-Member -Type NoteProperty -Name "endDate|string" -Value "string"
$obj | Add-Member -Type NoteProperty -Name "lastLogon|string" -Value "string"
$obj | Add-Member -Type NoteProperty -Name "modified|string" -Value "string"
$obj | Add-Member -Type NoteProperty -Name "startDate|string" -Value "string"
$obj | Add-Member -Type NoteProperty -Name "status|string" -Value "string"
$obj | Add-Member -Type NoteProperty -Name "type|string" -Value "string"
$obj | Add-Member -Type NoteProperty -Name "groups|string" -Value "string"
$obj | Add-Member -Type NoteProperty -Name "costCenter|string" -Value "string"
$obj | Add-Member -Type NoteProperty -Name "division|string" -Value "string"
$obj | Add-Member -Type NoteProperty -Name "email|string" -Value "string"
$obj | Add-Member -Type NoteProperty -Name "employeeNumber|string" -Value "string"
$obj | Add-Member -Type NoteProperty -Name "familyName|string" -Value "string"
$obj | Add-Member -Type NoteProperty -Name "honorificPrefix|string" -Value "string"
$obj | Add-Member -Type NoteProperty -Name "honorificSuffix|string" -Value "string"
$obj | Add-Member -Type NoteProperty -Name "locale|string" -Value "string"
$obj | Add-Member -Type NoteProperty -Name "manager|string" -Value "string"
$obj | Add-Member -Type NoteProperty -Name "middleName|string" -Value "string"
$obj | Add-Member -Type NoteProperty -Name "organization|string" -Value "string"
$obj | Add-Member -Type NoteProperty -Name "phoneNumber|string" -Value "string"
$obj | Add-Member -Type NoteProperty -Name "secondaryEmail|string" -Value "string"
$obj | Add-Member -Type NoteProperty -Name "secondaryPhoneNumber|string" -Value "string"
$obj | Add-Member -Type NoteProperty -Name "timezone|string" -Value "string"
$obj | Add-Member -Type NoteProperty -Name "title|string" -Value "string"
$obj | Add-Member -Type NoteProperty -Name "risk|string" -Value "string"
$obj | Add-Member -Type NoteProperty -Name "WorkerWid|string" -Value "string"
$obj | Add-Member -Type NoteProperty -Name "OtherId|string" -Value "string"
Using a simple script and an example object we can quickly create the basis for a Granfeldt PSMA Schema Definition script. As shown with the Workday example a minor tweak was required, but it was still a lot quicker than generating manually. Hopefully this helps you get started quickly with your first, or next PSMA that you are building.